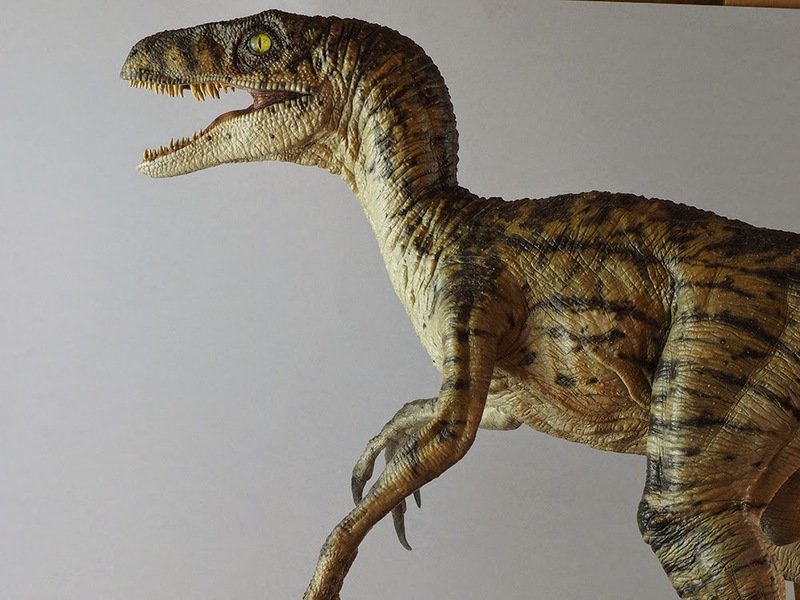 Horizon's vinyl 1/5 scale Velociraptor from Jurassic Park. I built her using the usual vinyl techniques and added glass eyes. She's painted with Tamiya spray primer and Tamiya, Gunze and Citadel Acrylics.